An indictment against Naser Kalmedi mentions Fahrudin Radončić, Ekrem Lekić, Senad Sahinpašić Šaja and Naser Orić as members of his organized group. The dark and twisted Avaz tower that looms over Sarajevo is the headquarters of Fahrudin Radončić, an intense and dapper media mogul who is running for president of Bosnia and Herzegovina. Across the city rises another Radončić tower, the glass-and-white Radon Plaza Hotel, where in the spring of 2006, Radončić began meeting with assorted mobsters to plot the assassination of gangster Ramiz “Ćelo” Delalić. The plotters were upset that Delalić was cutting into their criminal profits—and for other reasons. By the summer of 2007, Delalić was dead, pumped full of bullets one midnight outside a Sarajevo apartment building. 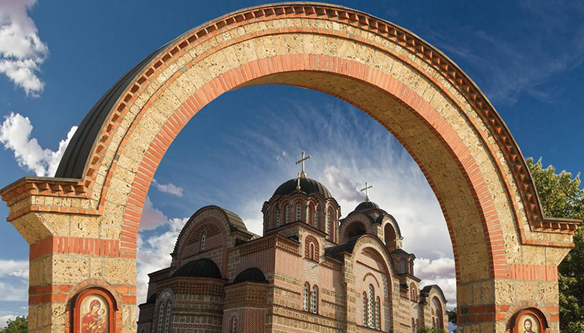 These allegations and others are spelled out in a 49-page indictment handed up in Kosovo in the curious case of Naser Kelmendi, an ethnic Albanian who has lived for years in Sarajevo yet has spent the past year in jail in Kosovo. Rumor and business deals have linked Radončić and Kelmendi for years, but the indictment spells out for the first time the reasons behind those links and states flatly that Radončić was Kelmendi’s “business partner and political protector” in Sarajevo. Radončić trumpets the fact that he himself was not indicted but only named in the indictment as a member of a criminal organization–which, he says, isn’t true. This until recently minister of security of Bosnia and Herzegovina (BiH) denied all charges and announced the legal battle to prove it. Prosecutors have asked that Kelmendi be kept in custody for fear he will try to flee, intimidate witnesses or destroy evidence. The indictment focuses on two main areas: Delalic’s murder, and what prosecutors say was Kelmendi’s major business from 2000 to 2012—trafficking large amounts of drugs from Afghanistan and Turkey into Europe. Kelmendi is expected to stand trial in Kosovo in October—by coincidence, the very month in which Radončić hopes to win the BiH presidency. Prosecutors say the two are linked by convoluted business interests and criminal activities, including the murder of Delalić, and that it will all be proved at trial. 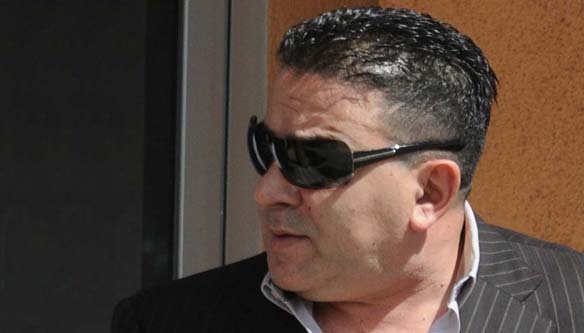 A major witness in the indictment is Šejla Jugo Turković, wife of convicted mobster Zijad Turković and a former television journalist who was once Radončić’s trusted assistant. In an interview with the Center for Investigative Reporting (CIN) and Organized Crime and Corruption Reporting Project (OCCRP), she gives a detailed account of the meetings and events that led up to Delalić’s death. Radončić, meanwhile, says Jugo Turković is simply lying because she is married to a criminal and wants to deflect attention from her husband’s illegal activities. 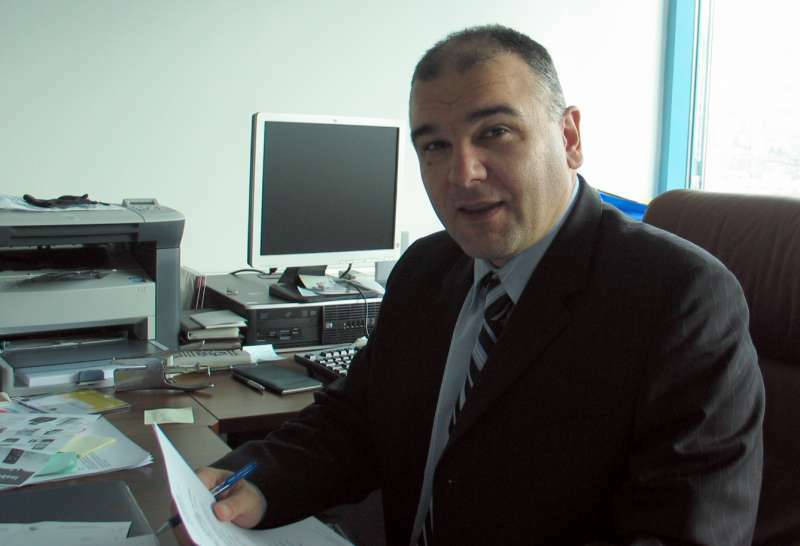 “Šejla Jugo Turković put forward a number of lies” about the Radon Plaza meetings and alleged murder plot, he told OCCRP/CIN in a two-hour interview in his Avaz tower office. Radončić seemed agitated as he spoke, moving around restlessly and stabbing the air with a presentation pointer when he wanted to emphasize a point. 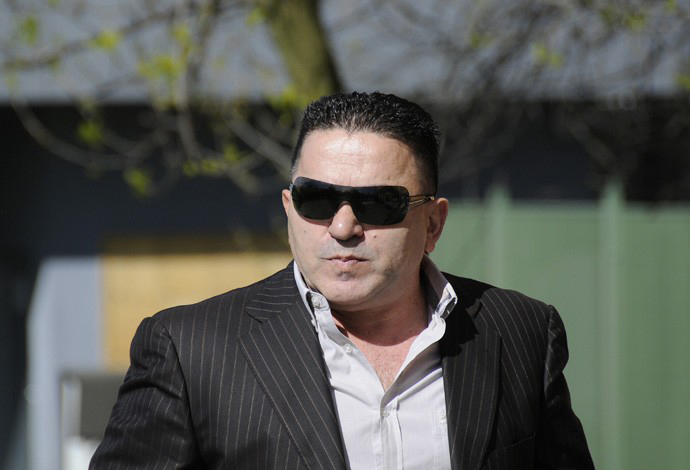 Jugo Turković’s husband is currently serving a 40-year sentence on organized crime charges, including murder, narcotics smuggling, extortion, and money laundering; the conviction has been overturned on appeal and sent back for a retrial. According to the indictment, Radončić and Kelmendi were not alone as they discussed Delalić’s fate in the Radon Plaza’s iconic revolving restaurant. The indictment says the meetings were also attended by Ekrem Lekić, Sarajevo businessman Senad Šahinpašić and Naser Orić, former commander of the Srebrenica defense. The others involved confirm part of her story but say she was wrong on all of the important points. Lekić told OCCRP/CIN that he was indeed part of the group that met nearly every day at the restaurant. He and Radončić were lifelong friends, he said, stemming from before the war in Kosovo, when both were journalists. 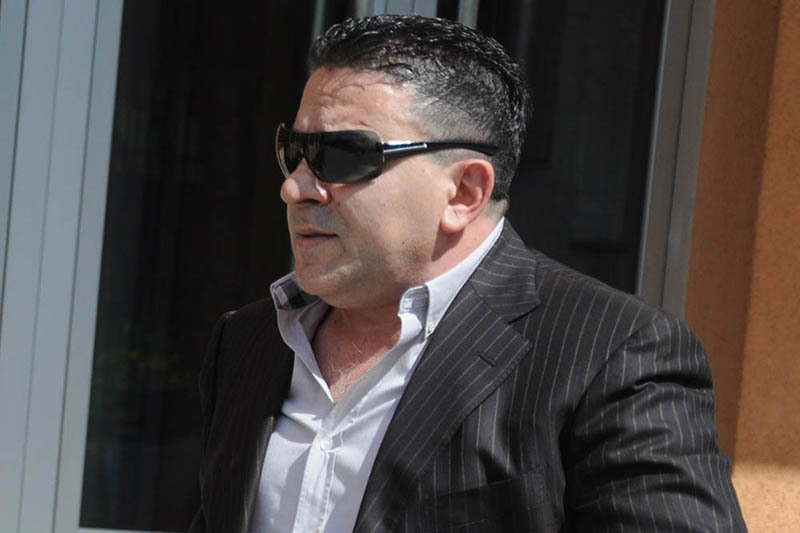 Jugo Turković says the group met to discuss what to do about Delalić, an organized crime figure who was publicly denouncing Kelmendi as a drug dealer. Nonsense, said Lekić. “I used to work out every day” in the gym at the Radon Plaza, and then would have coffee with the group, he said. He said Jugo Turković was lying about the group and what they discussed, and noted that although Delalić was killed in 2007, Jugo Turkovic never talked to the police about it until 2011. Jugo Turković says the members of the group had different reasons to be annoyed with Delalić and that those reasons evolved over time. For Radončić and Kelmendi, it was primarily economic: they were worried that Delalić’s denunciations would cut into the drug business and cost them money. Prosecutors believe that for Lekić, it became personal in the spring of 2007, when his relative Selver was murdered, and that he believed Delalić was responsible. Not true, Lekić says; Selver Lekić’s death was just one of those things. The motives of Šahinpašić and Orić are less clear. According to Jugo Turković, Šahinpašić was a close political ally of Radončić. In an interview with OCCRP/CIN, Šahinpašić said he was a lifelong friend of Radončić but that nothing Jugo Turković said was true. Turković said that Orić, considered a local war hero in Srebrenica for his defense of Muslims during the war, was an enforcer for Kelmendi. “He had to do everything that Kelmendi wanted because he worked for him, and that is how he made a lot of money,” Jugo Turković says. Contacted by phone by OCCRP/CIN, Orić declined to comment, saying this case had caused a great deal of trouble in his life and he did not want to say anything. According to the indictment, Radončić had plenty of reason to dislike Delalic, former war commander and a Sarajevo mafia boss. Jugo Turković’s story about what transpired in the revolving restaurant dovetails with events described in the indictment, although she provides more details. For example, she says the group had trouble finding someone to hire to kill Delalic, with their first few choices—including Zijad Turković—turning them down. Radončić “took money out of a green PVC bag and gave it to Kelmendi, who added also this money to his suitcase,” the indictment states. The indictment states that Kelmendi allegedly went to Serbia to hire some killers for 200,000 but it is unknown what currency is in question. Kelmendi later reported that he had given the money in Serbia to a man nicknamed “Krce”, later identified as Milovan Jeremić, who was a go-between to hire two well-known Serbian hit men, Milan Mitić and Strahinja Raseta, to be hired to murder Ramiz Delalić.” A third man, Nebojša “Četnik” Vukomanović was also hired, the indictment alleges. On June 27, Delalic was shot to death in Sarajevo. The indictment goes into some detail on how it all happened. Prior to the killing, Kelmendi left Bosnia to visit the seaside in Montenegro, to establish an alibi, while Orić was responsible for tracking Delalić’s movements. Delalić died at the foot of an outside staircase leading to his girlfriend’s apartment at 1a Odobašina St. He had been shot 10 times with handguns, a .357 Magnum and a 9 mm Heckler & Koch. A silencer was found under a nearby car. Evidence at the scene told police someone—later identified as Rašeta—had crouched under the staircase and waited for Delalić to arrive. Witnesses later testified that as Delalić was approaching, Vukomanović whistled to Raseta to warn him to get ready. Jugo Turkovic told prosecutors she got an SMS from Radončić that night, telling her Delalić had been killed, which she took as a warning to say nothing to police. Witnesses said the alleged assassins went back to Serbia and a few days later, Rašeta received € 100,000 (US$ 136,000); Vukomanović got € 20,000 (US$ 27,000) and an Alfa Romeo. In the aftermath of the murder, Kelmendi and the group met for dinner to “discuss how to divert the murder investigation towards other persons.” The indictment says the group felt “empowered” by having successfully pulled it off. In her interview, Jugo Turković described a meeting after the murder, but it isn’t clear whether it is the same one discussed in the indictment. What is clear is that the conversation quickly became frightening. Jugo Turković said that at the meeting in the aftermath of the murder was decided to do one more murder, to kill Fikret Kajević, “because he was designated as the successor to Ramiz Delalić.” In the CIN/OCCRP interview, Jugo Turkovic said she argued against it, telling the group that the two men were not close and that Kajević wouldn’t want to take over anyway.